It may be hard to believe, but The Legend of Zelda: Ocarina of Time will be celebrating its 20-year anniversary in a few short days. Released on November 21st, 1998, this Nintendo 64 epic not only ushered the Zelda series into the modern 3D landscape, and it not only set the stage for future games of the franchise to find success, but it helped shape the game industry during a pivotal time in history and effectively capitalized on the endless potential of the entire medium. Ocarina of Time is a super special game, for fans and gamers of all walks of life. That’s why Zelda Dungeon will be celebrating the saga of the Hero of Time with Ocarina of Time Week! Join us for the next seven days, as we explore the life and legacy of Ocarina of Time, one of the greatest and most important video games of all time. What can you expect from Ocarina of Time Week? Multiple Editorials: We’ll be running a series of Ocarina of Time-themed editorials throughout the week. Our talented group of writers will share about their favorite parts of the game, reflect on how the game affected them and their lives, and analyze how the game left a lasting legacy in gaming history. 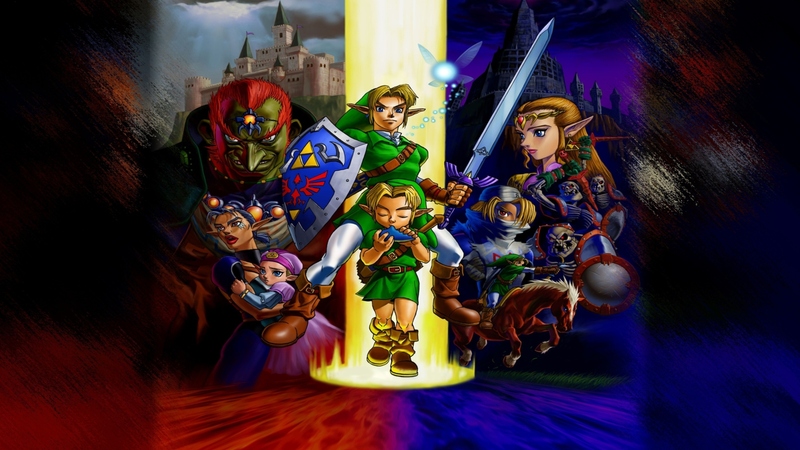 Ocarina-centric Daily Debates: We’ve prepared some great debate topics this week, with each one focusing on an aspect of the N64’s first Zelda title. Get ready to discuss gameplay, story, and music. Ocarina-themed Weekly Features: A few of our recurring original features will be highlighting Ocarina of Time this week, including the Champions’ Cast, Caption Contest, Zelda Runners, and more! Check out our YouTube right here for some OoT love as well. Continued Zelda and Nintendo coverage: Just because we’re hosting a special theme week doesn’t mean we’ll stop bringing you all the latest Zelda news. Everything between the editorials and features will be business as usual. Ocarina of Time Week will run from 11/19 to 11/25. Enjoy the festivities, and be sure to share about your favorite moments from Ocarina of Time with us all week long!